Wow, another top shelf display! The 46 deg Parry arcs ought to have been great - I didn't see a photo of that region. 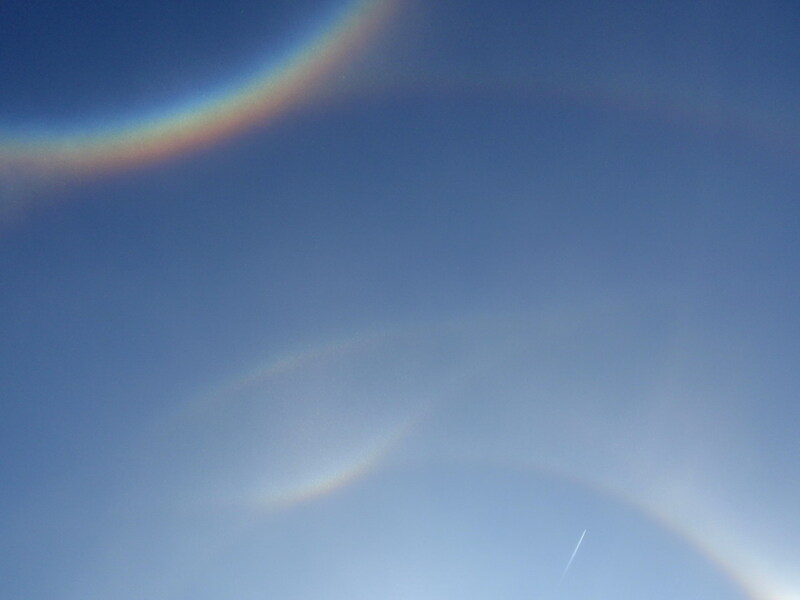 The CZA is stunning, perhaps the Kern arc was lurking in the sky as well. Patrik Trncak called me and he noted that very faint Hastings arc appeared on the any photos. I saw Hastings arc with computer editing too. Yes, Marko, I will send image to you now. Here is Patrik's simulation-photo comparison. Possibly there might be a faint Hastings. I can also see upper lowitz arc as well on the right side which curves up from where parhelia is at towards the upper parry arc.